Over the past few years, there hasn’t been a day where we haven’t heard Ireland’s The Script continually repeating songs like “The Man Who Can’t Be Moved”, “Breakeven”, and “For the First Time.” We talked to members of this world renowned band and asked them a few questions about what it was like to be in their shoes and some information about the band. These include where the name, The Script came from. 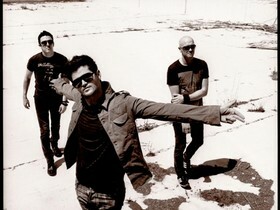 Script guitarist Mark Sheehan said that the name The Script was a common used phrase used by the band while they were forming. Also he said that the name describes the stories and themes about their music. When asked their favorite song that they said that they had no favorite because every song was “their baby.” The band members described touring as a great experience. Some of their favorite places to perform were New York, Los Angeles, Australia and Asia. When asked about their fan’s reaction to their new album, “Science and Faith”, the band said they were surprised by the reaction of their fans and how positive it was. 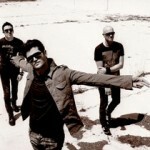 When The Script’s Glen Powers met Mark Sheehan, who then introduced him to Danny O’Donoghue, the three men never thought that they would one day become a band. “We just had a jam and then the band just kind of formed around us before we could even see it coming,” Glen said. But even after they officially formed the band, they never imagined that they would become as popular as they have in recent months. Now that they have traveled the world to play for millions of fans, they feel like it’s accurate to attribute their success to their honesty in their music. The men of The Script bare their emotions through their music, which, Mark and Glen agree, is what keeps their music “real” and gives it “depth”, setting their music apart from that of other bands and artists. “Honesty involves wearing your heart on your sleeve, and we had to make that decision to expose ourselves which, especially as guys, was very difficult,” Mark said. Once they made that decision though, there was no turning back. But without that decision, their music wouldn’t be the “healing process” that it is for them. “We try not to think about anyone else when we’re writing music,” Mark said. Instead, they let their emotions flow through them and allow their songs to start from whatever instrument it was meant to be born from. Using their bodies as “human barometers”, they test for a hair-raising moment the first time they play each new song. 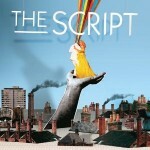 In this way, The Script is able to take control of their music so that they can use it to tell their stories. And by doing this, they are dominating the music industry.